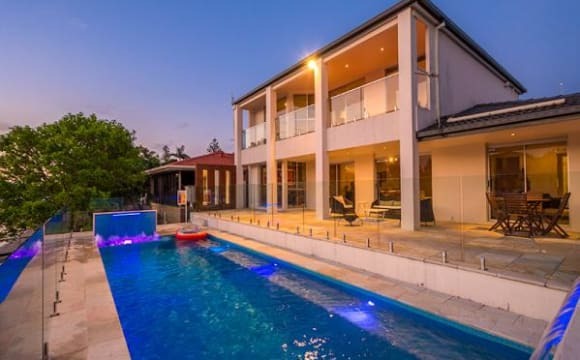 I just want to make it clear the price could be between $250 - 350 anyway if you interested come over 👍 Excellent place , right on the beach , the railway next to the building, surfers Paradise shops 1 mints walk , the building has 3 out door swimming pool, 1 in door swimming pool, spa, gym , 3 PPQ areas. 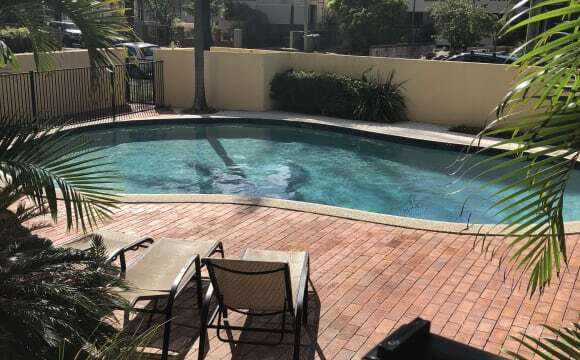 Hi,there I got s room for couple $300/wk Or$250/wk one person Our house is located in the Middle of Surfers paradise but very quiet area and is close to supermarket,cafe,shops,bus.tram and the beach. We are looking for a really TIDY, CLEAN UP after you use kitchen, really ORGANISED, NO PARTY and No bring people all the time into the house. We are all friendly &amp; happy 20-30y.o. WHV and students suite for international student or working holiday ! It is a comfortable huge house with a pool and garden in a safe area. You can get a Ensuite room,King size bed ;beding,desk and chair, a shared lounge, dining, huge kitchen, Landry,spacious outside area. Rent includes Water, Electricity and WIFI. If you are interesting in this room, pls send sms to book the view, cheers! You will receive your own room and bathroom. Large modern house on the water on isle of Capri. Has pool and spa. Great for entertaining, has an outdoor BBQ and putting course. Hey :D We are looking for one friendly GIRL to join our home. IT IS AVAILABLE NOW!!!! There is 6 people living in the house, you will live with 3 brazilian guys, 1 spanish girl and 1 colombian girl. (The room you would share is with the girls) We have a good environment in the house, we live as a family here and we are looking for someone to enjoy with us. You can invite your friends, we are always up to share laughs, beers and party's but we also have our chill days. The building is literally BEACHFRONT in the TOP FLOOR with the best ocean view. 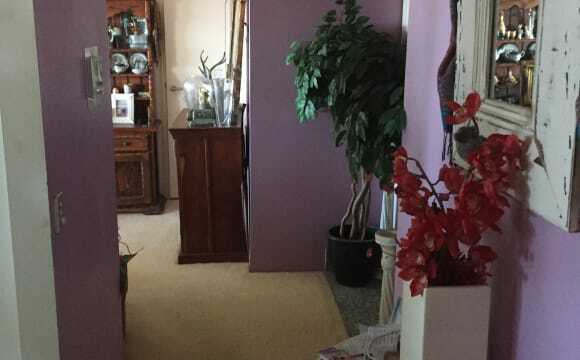 - 5Min walking to cavil avenue, woolworths, gym, nightclubs, markets... The building also have: - BBQ Area - Swimming Pool - Jacuzzi - Sauna The apartment has 2 rooms with 3 people each, two bathrooms, laundry, kitchen with 2 fridges, and big living room where you can keep your surfboard, skateboard and stuff. The rent is 117$ + bills = around 125$ per week. The Bond is 467$ If you think you match our environment we will be more than happy to have you here Please let me know your nationality, age, and how long you intend to stay on the apartment :) Cheers, Jah bless you! Amazing location!! Just 50 metres from the beach. 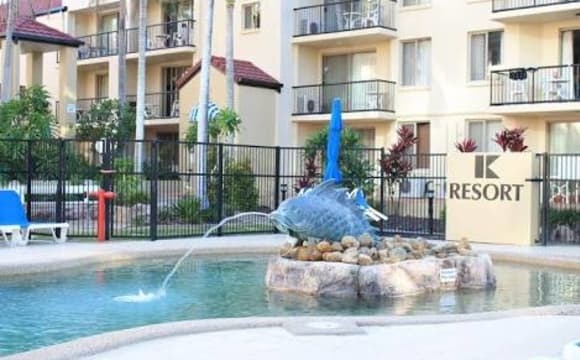 5 minutes walk to Surfers Paradise central. Trams within a minute walk. Pool, Large outside balcony, open plan apartment, with underground car park if needed. Own quiet clean room with large wardrobe, fully furnished with Queen size bed and bedding. Shelving also. Great apartment in a small complex of 9. Safe and secure, with friendly neighbours. Am looking for a friendly, fun female to become part of my home. 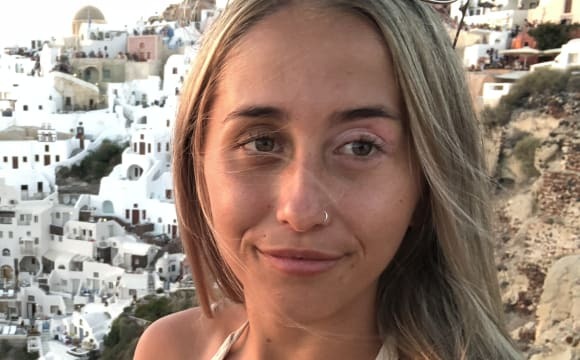 I’m an easy going, relaxed kiwi girl who works full time. But loves to chill out on days off, loves cooking, and relaxing with a wine. Must be working or studying. Travellers ok. Female only apartment. This shared apartment arrangement will be unique and fun! Dates and details are tentative at present, as is budget. Hi Guys!!! We are offering a room (two single beds), with private bathroom in our apartment in Surfers Paradise (67 Ferny Avenue), the beach it's just crossing the road, short walking distance to supermarkets, shopping, entertainment, public transport and restaurants. Rent per week/per person $170 bills included (Electricity, internet, water) (If you are looking for a private room text me) 🏩 BUILDING FACILITIES This building has Jacuzzi Swimming pool (Indoor &amp; Outdoor) 🏘️ FLAT FEATURES Balcony Fully furnished Kitchen fully equipped TV Laundry Available from May 08! 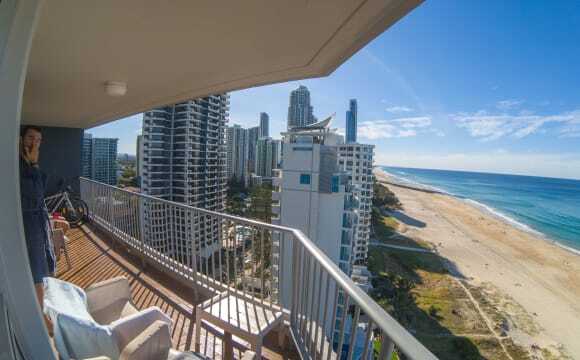 The Unit complex is 42 stories 2 bedroom unit on the 22nd floor share with 2 Canadian Club workers, is privately owned with larger double bedroom with ensuite available, on the Surfers beachfront with a wrap around balcony with full coastline views &amp; mountains overlooking Surfers skyline. 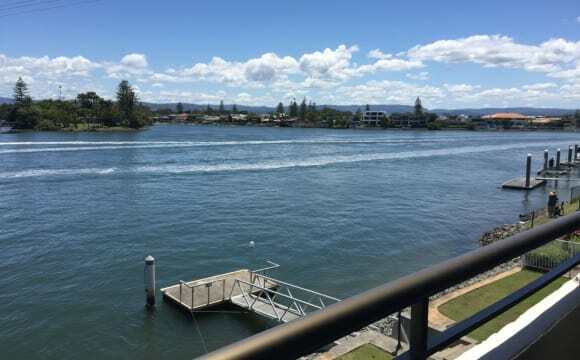 The beach is opposite with uninterrupted views North &amp; South to Tweed Heads for swimming, Surfing whale watching from your own balcony ,Indoor heated pool &amp; spa, outdoor pool, BBQ, tennis courts, back gate is to the North Surfers Tram station. undercover car park. Internet included. Fully furnished self contained on 11th floor with Ocean views, 2 bedrooms unit, double room with walk in robe, opens to ocean view balcony , queen bed. own bathrooms, in Surfers Paradise opposite beach &amp; 10 mins walk from Surfers Paridise North tram station and Main Beach Tram station, Share with young working couple in late 20's. Luxury facilities, available this weekend. $350 WEEK with 2 weeks bond. 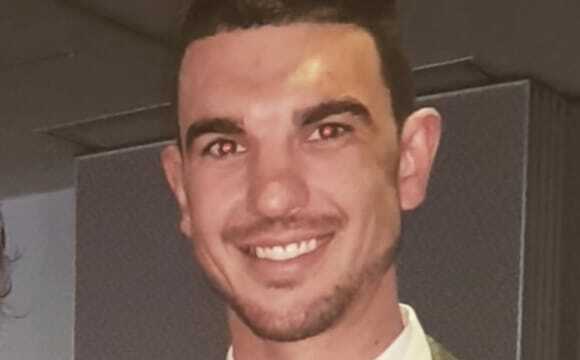 Hello fellow people, I'm a young 41 yr old. Quiet, clean,respectful and friendly girl from the south coast looking to live in the sunnier side of town! Not into partying any more, and I'm very respectful of other people's privacy. I'm in nursing, and love being by the beach any chance I get. Love meeting people from all over the world an socialising with different culture's.